A man who was almost three times over the drink drive limit almost crashed into a police car with his young daughter in the back of the vehicle. A police patrol had to brake suddenly after Maciej Olszak’s Volkswagen Passat sped out of a side road onto Wellington Road in Hastings, ignoring give way markings, shortly before midday on December 13. Olszak then forced a taxi to make an emergency stop by pulling in front of it before officers stopped the Volkswagen. The 39-year-old had 96 microgrammes of alcohol per 100 millilitres of his breath - almost three times the 35 microgrammes legal limit. He had already served a ban for drink-driving imposed in 2007 and did not have insurance. When officers stopped the car they discovered Olszak’s three-year-old daughter was sitting on the back seat. 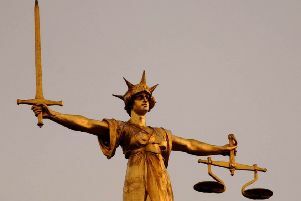 Olszak, of London Road, Hastings, pleaded guilty to drink-driving and driving without insurance when he appeared at Hastings Magistrates’ Court on March 3. He was banned from driving for five years, given a 14-week suspended prison sentence, ordered to do 200 hours of community service and told to pay £85 costs and an £80 victim surcharge.